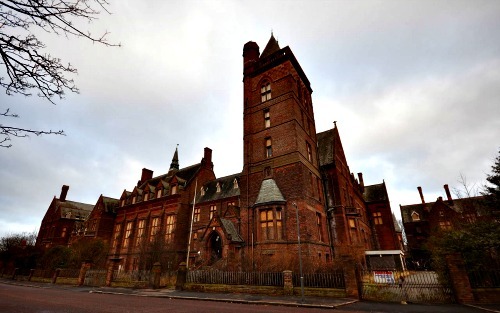 Is Newsham Park hospital haunted? The building was originally built as an orphanage to house to children of dead seamen, which was a very welcome thing since the area previously had no such institute and had some sizable shipping docks near by. The orphanage was closed on the 27th of July, 1949. The reason for this was during world war 2 the residents of the orphanage were moved to another site in a more remote area to protect them from air raids. After the war however there weren't as many residents and due to room being needed in the area the building was sold and the residents relocated. In 1951 the Ministry of Health bought the building and began work to turn it into an asylum. The doors opened for this new institute in1954 and the building operated for this purpose until not taking any more patients in 1988. Then in 1992 all the remaining staff and patients were relocated. Another institute in the area called Rainhill Lunatic Asylum closed down and the patients were moved to Newsham, which was supposed to be a temporary thing but lasted until 1997. The building was bought at auction and the current owners had plans to heavily renovate it into an events venue. The building was reopened and now holds various events there, including a ghost tour. Please check with the business directly to see availability of events and opening times. Now asylums are always one of those types of buildings which have ghost stories, no matter their appearance or age, but when the places looks as old and creepy as this one does the camp fire stories tend to run rampant. There are stories of hauntings of this place that range from escaped patients rampaging through the woods with an axe to people being tortured to death within the bowls of the asylum. It seems that most of these stories are not true, or massively unlikely to say the least, but it wasn't camp fire stories which made this place so well known as being haunted. There doesn't seem to be any mention of ghosts when the building was used as an orphanage, with the first reports coming from nurses after the conversion to a hospital. One of the most common occurrences in the building is the slamming of doors and banging noises from the corridor leading up to the attic on the top floor. The story goes that it was in this area that the "naughty cupboard" were. 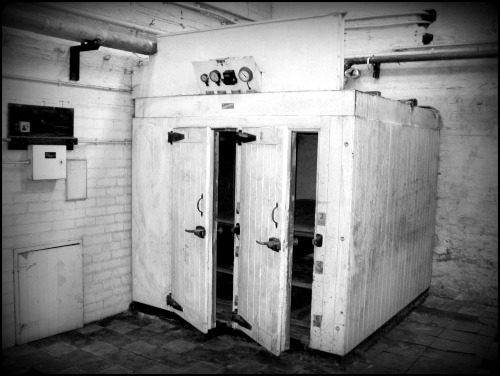 Whenever a nurse wanted to punish one of the orphans they would lock them inside one of these cupboards for a period of time they felt would be sufficient. The banging noises are said to be caused by the ghost of one of these children who died inside the cupboard he was locked in. The problem is with these older institutions is that they had no cameras or alarms or anyway to find out what happened apart from just "asking" the staff, the same staff who were also reponsible for filling out incident reports. As you can imagine the staff would cover themselves the best they could so its no surprise there is no official record of a child dying from being locked in a cupboard. When the building was used as an asylum the patients who were housed on the top floor where often reported as being seen talking to someone else in full conversation. The only problem with this is that there was never anyone else there for them to speak to. This may seem like something that could happen in any asylum but the odd thing about this place is the patients would always refer to the ones they spoke to as "the children", always describing them as young children who would just casually walk the hall ways and speak to anyone they felt like. At last check Newsham park hospital was re-opened to the pubic as an events venue though it would have likely changed its name now, but please check opening times before turning up.